One might argue that Ugali is Kenya’s staple food, predominantly prepared using maize flour. This explains the unending debate surrounding maize in Kenya with shortages being reported more times than the Kenyan government is associated with respecting human rights. What is worrying is the method that the government has resulted to deal with the shortages and the ever-rising prices of the golden white commodity. The Kenya Agricultural value Chain Enterprise quotes that the annual maize consumption in Kenya to be approximately 3.1 million bags per month. This is usually against a production of an average of 30 million bags per year which puts the country in a maize deficit. Naturally, the forces of supply and demand dictate that the prices would rise in response to high demand against limited supply. The government of Kenya has responded by enacting legislation that sets an arbitrary price ceiling of 75 shillings per 2 kilograms packet. Surge pricing of market forces results in prices that are above the set price ceiling creating supply-demand problems. The government is of the opinion that price ceiling will maintain competitive maize flour prices and cater to the welfare of the citizens amid rising cost of living. From history, when governments enact price controls, it interferes with the force of demand and supply that result in shortages or surplus. In this case, consumers of maize flour are incentivized to consume more than they would under normal market conditions while suppliers are disadvantaged and produce less s they cannot operate at losses. This results in the misapplication of human capital, time, and money. As evidenced during World War II, the United States government was faced with food shortages that had pushed food prices to go up. The government responded by introducing price ceilings to compliment food rationing. Producers of consumer goods such as sugar were forced to supply at prices that resulted in losses. At the low prices, demand went up which could hardly be met by the market supply quantity. The price control tactic resulted in food rationing to fix the situation. 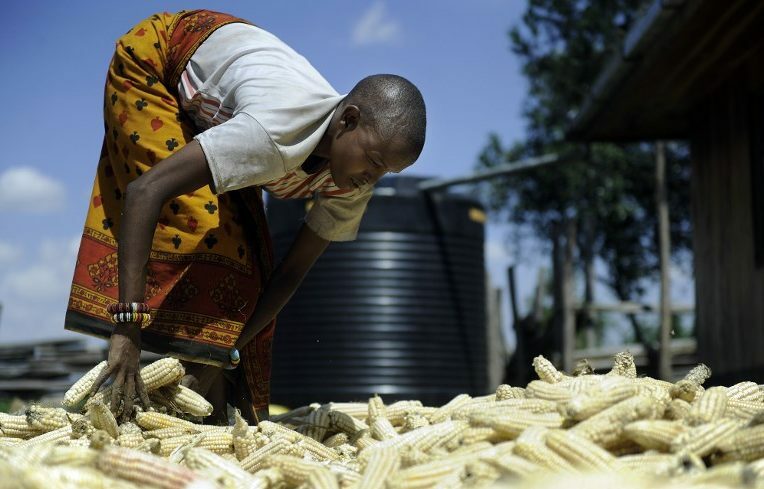 As maize millers are not incentivized to produce more flour, shortages are set to hit the market and Kenyans will spend more time in shops and supermarkets looking for maize flour. This is a waste of time that would otherwise be used in more productive projects or in improving the human capital capacity of Kenyans. Moreover, a Kenyan who is need of maize flour and is willing to pay more can’t do so because there is no maize flour on supermarket shelves. Producers will then result in supplying maize flour through the black market as they chase profits. In the black market, there is no standardization of flour which could result in consumer health complications. Maize flour being Kenyan’s staple food, Kenyans will have to consume by obtaining the product from the black market at higher prices than the supply-demand market equilibrium. In the long term, price ceiling results in the bigger problem only succeeding in product prices. In a country that is still unable to mitigate the effects of corruption, favoritism is likely to take center stage with cronies of the government incentivized to import maize to meet the shortage. This situation will be a repeat of the 2017 situation where the country had to rely on imports from Mexico. The downside is, only a few firms were licensed to import maize at the expense of the Kenyan Ugali consumer. For the Agricultural sector on maize production to thrive, legislation must leave the market supply-demand forces to dictate prices. This allows proper allocation of citizen’s resource such as time, money, and human capital in preferred and effective activities. This will result in an increase in maize production as all supply chain participants are well compensated.